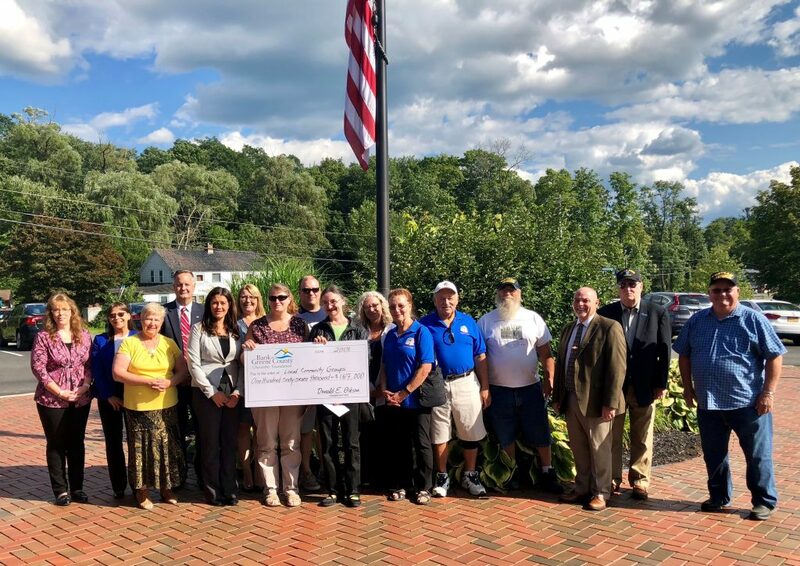 The Bank of Greene County is proud to support local communities through grants and volunteer work. In 1998, we created a Charitable Foundation, which coordinates funding for non-profit groups such as institutions, schools, and other community organizations. To date, we have contributed more than $1.3 million in support of our neighbors. Grants are awarded based on eligible requests received. To learn more about the grant request process, including required submission materials, view our guidelines below. American Heart Association, Cairo-Durham Central School District, Cairo Durham Little League, Cairo Historical Society, Friends of the Cairo Public Library, Fortnightly Club of Catskill, Greene County Women's League Cancer Patient Aid, Greene County Youth Fair, Pipe and Drum of Greene, and the Resurrection Lutheran Church. Alzheimer's Association of Northeastern NY, Art School of Columbia County, Catholic Charities of Columbia & Greene Counties, Chatham Film Club, Chatham Fire Department, Chatham Village Historical Society, COARC, Columbia County Agricultural Society, Columbia County Fire Chiefs' Association, Columbia County Mountain Bike Alliance (CCMBA), Columbia County Youth Theater, Columbia Land Conservancy, Columbia Pathways to Recovery, Concerts in the Village, Crellin Town Park, Friends of the Tracy, Garden Club of Kinderhook, Ghent Playhouse, Ghent Volunteer Fire Company #1, Hawthorne Valley Association, Louis F. Payn Foundation, Mellenville Volunteer Fire Company, Muscular Dystrophy Association (MDA), New Lebanon Library, North Chatham Free Library, Our Community Cares, Performance Spaces for the 21st Century (PS21), Re Entry Columbia, Sean's Run Firefighter 5k Challenge, and the Thomas Academy.